What does the Lookup Wizard do? 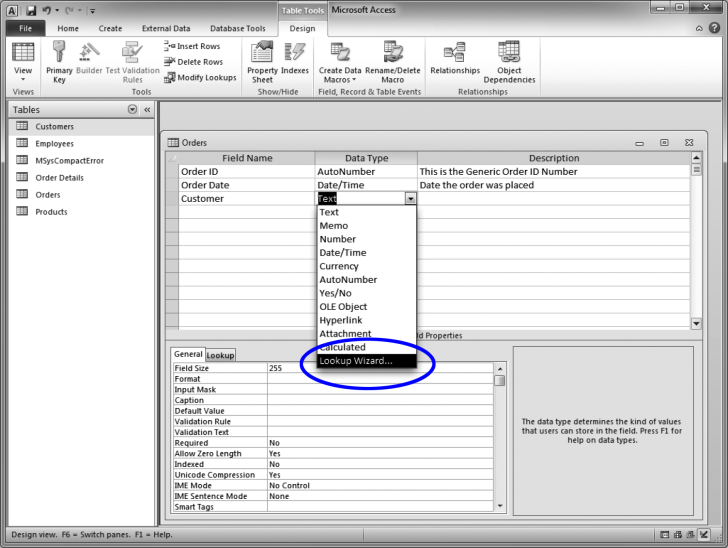 The Lookup Wizard allows you to create a field where database users can choose from a list of things. This list can come from a table or query, or list items can be specified manually.